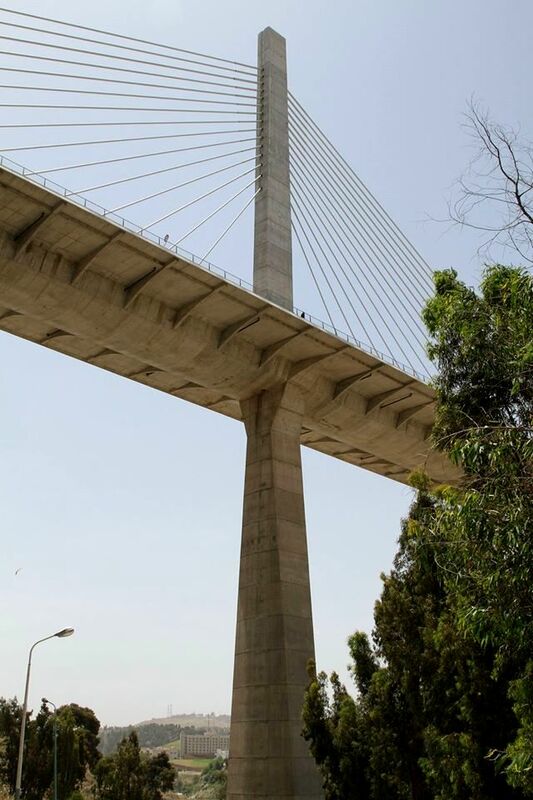 For the city of Constantine in Algeria, DISSING+WEITLING architecture has designed a concrete cable-stayed pedestrian and road bridge, a pivotal structure within the historical and hilly context of the city. 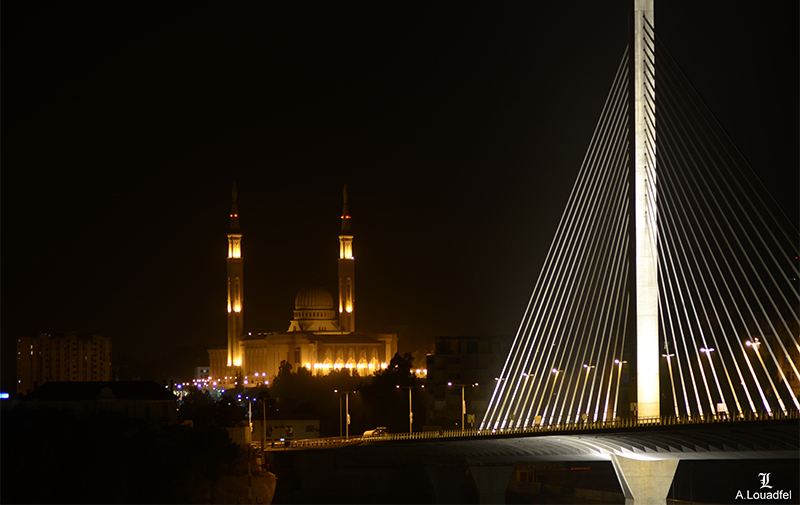 The bridge is designed with Constantine’s pride in bridge construction in mind: a beautiful monument from a distance, as well as a fine structure to walk and drive across. The new bridge crosses the ravine above the river Rhummel to connect two important areas of the city, the ONU area and the Mansourah plateau. The bridge is an integral part of a series of infrastructure works, intending to resolve the serious congestion problems plaguing Constantine. The 130-metre high pylons functions as a reference point for people in the area, and the bridge is designed to be visually exciting, day and night. The winding roads leading to the bridge reveal spectacular views from several points along the way. The bridge is relatively wide with two lanes and a sidewalk on each side. The pylons are centrally located, separating the carriageways to either side. Byen Constantine blev grundlagt i år 203 før Kristus, og har med sin placering 640 meter over havet, omgivet af kløfter, en lang og stolt tradition for brobyggeri. Den 750 meter lange skråstagsbro er derfor designet med særligt fokus på at finde en udformning, der både viderefører Constantines brotradition og står som et stærkt nutidigt monument i det smukke klippelandskab. Da folk både færdes og bor direkte under broen har designteamet yderligere lagt stor vægt på udformningen af dens underside. Formen er let og slank med en strukturelt fordelagtig ribbestruktur, der er visuelt interessant uden at virke pågående.